"Living like a local has become living in an apartment appropriated from a local"
Airbnb and other “home sharing” platforms have changed the way we travel. Some of these changes have been for the better. It's great that tourist can live like a local, by staying with someone in their home. However, the growth of the home sharing platforms has also allowed something terrible to happen. Unscrupulous landlords are using Airbnb and other home sharing platform to turn homes into hotels, outlaw hotels. All across the world businessmen are buying or renting normal apartments and houses, which should be available to locals, and renting them full-time, 365 days a year, to tourists. Why? Because tourist pay more. These outlaw hotels are highly profitable for the owners, with some operators managing hundreds of properties and making millions of dollars a year from their business. While the profits of these outlaw hotels go to a small number of operators, the costs are borne by the wider community. Outlaw hotels reduce the supply of affordable housing, especially in historical and touristic neighbourhoods which attract tourists, raising rental costs of everybody. These outlaw hotels are unregulated, unmonitored and, in many cases, untaxed. This creates a huge number of safety risks, nuisance for the neighbours, and reduces the government's tax base. Outlaw hotels also take money from legal hotels ones, destroying jobs in the hospitality industry and preventing investment in new hotels businesses. See our research section for detailed research on each of these points. These outlaw hotels are a problem across the world. In Paris, in London, in New York, and Amsterdam, we see the same problem. In some cities and districts it can be extreme, with up to 25% of all apartments being rented full-time on Airbnb. The impact on communities can be terrible, with schools closing, businesses designed for locals losing their customers, and local residents quality of life destroyed by a constant stream of tourist flowing in and out of their buildings and their community. We need to find a solution. We cannot trust Airbnb and its competitors to solve this problem on their own. 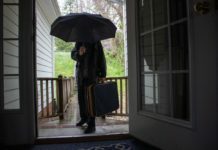 While Airbnb has historically removed some outlaw hotels from its platform, particularly when there is a public outcry against a particularly terrible case, it makes a huge amount of money from these outlaw hotels. While Airbnb never shares its data, we estimate that between 15-25% of Airbnb listings and over 50% of their revenue comes from outlaw hotels. Airbnb and the other platforms can't crack down on outlaw hotels, it would destroy there business. Instead of hoping the platforms will save us, we need effective rules, rigorously enforced, to stop people turning housing into outlaw hotels. 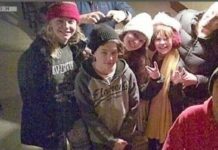 Many city's are already trying to do this, by introducing primary residence requirements, by requiring hosts register their properties with the government, and making the platforms responsible for enforcing the law. Unfortunately, there's still so much to do. Many cities are unaware of the problem, or don't have the resources to deal with it properly. In addition, they are being lobbied and intimidated by Airbnb and the other platforms, who spend tens of millions of dollars (far more than the hotel sector) fighting attempts to regulate the home sharing industry. Finally, attempts to regulate the sector have been bogged down by lawsuits and vague legal structures which prevent effective regulation. 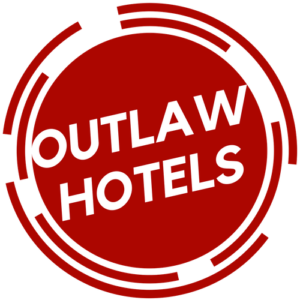 We created this website to help solve these problems, by creating a place where representatives from different cities can find and share information on the issue of outlaw hotels. We hope that local governments, activists, and industry representatives will use this space to learn about the issue and meet with each other. Together, we can stop the outlaw hotels.